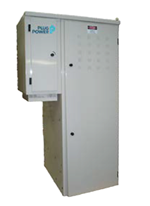 Plug Power’s suite of highly reliable GenSure hydrogen fuel cell solutions provide ample backup power to cover power outages up to four weeks without refueling. 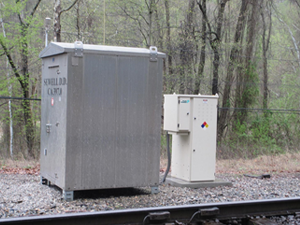 This protracted period keeps rail workers safe and trains moving during the worst weather conditions from ice storms, tornadoes, floods or hurricanes. 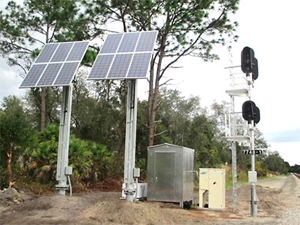 They also provide power in remote locations where access is difficult in normal condition. 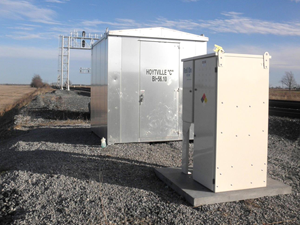 Designed specifically for small-scale backup power applications, the E-200 fuel cell system increases the site reliability for critical equipment while affordably providing hundreds of hours of highly reliable runtime between refueling visits. 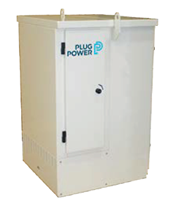 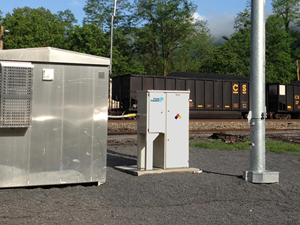 Plug Power offers multiple outdoor cabinet configurations scaled to provide the flexibility needed for a variety of smaller backup power requirements.